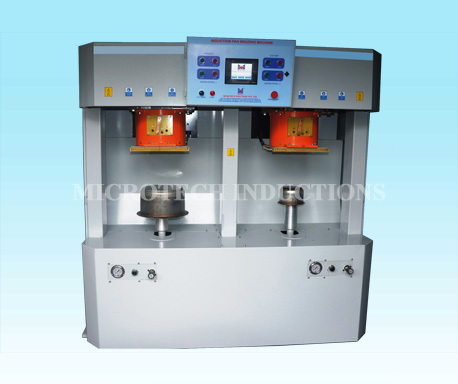 Ensures fast & heating uniform brazing. Two station with indexing table. Touch screen PLC based operator friendly M.M.I. Fully integrated machine with built in DM water cooling system. First station for loading /unloading.